Vista Dental has revolutionized composite delivery with their new Therma-Flo™ line of products, uniquely engineered to utilize heat for optimal performance of any preferred composite material. 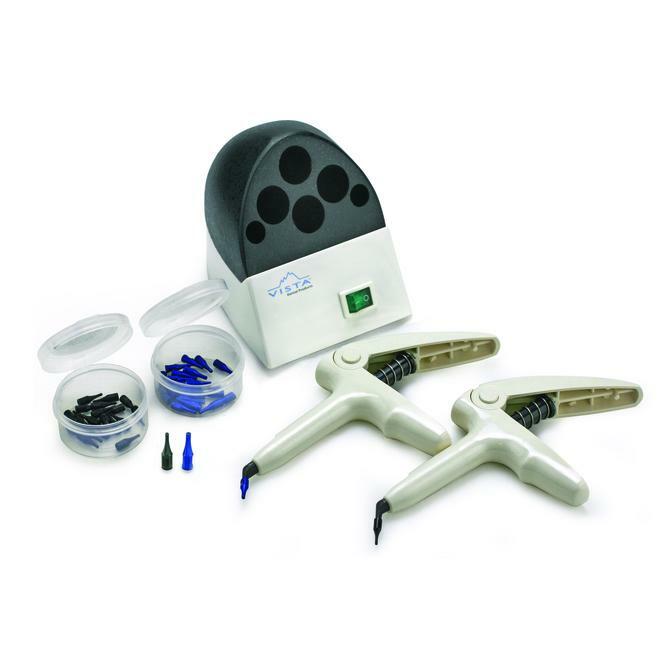 Vista’s Composite Warming Kit allows you to use highly filled composites in a wider variety of applications and also provides the versatility to enhance virtually all restorations. Use with Vista's Composite Syringe. Designed to enhance the performance of Therma-Flo™ products, Vista’s Step Down tips offer extended length for deeper access and greater precision in composite placement. Uniquely designed to adapt to most composite capsules, Step Down tips represent a major step forward in the control of composite delivery. Learn how the Therma-Flo Composite Applicator is revolutionizing composite delivery. Use the science of heat to improve the flowability of highly-filled composites like never before!